The Child and Adult Care Food Program (CACFP) provides nutritious food to our youngest children, as well as older children and senior citizens. New Jersey child care providers who participate in this federally-funded program overwhelmingly agree that it gives children the critical nutrition they might otherwise go without while instilling lifelong healthy eating habits. Yet thousands of New Jersey children do not have access to the program. 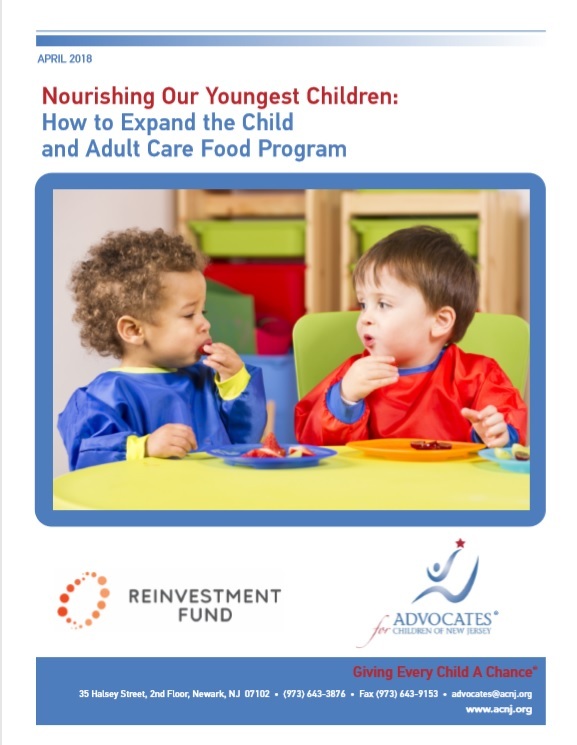 This report examines the benefits and challenges of implementing CACFP while offering actionable solutions to expand this program so it reaches more young children, giving them the nutrition they need to grow and be healthy.